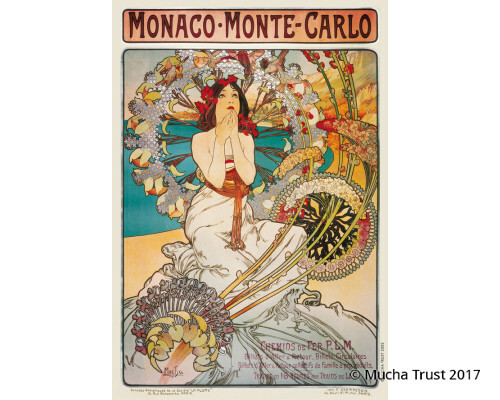 In this poster for luxurious holidays on the Mediterranean coast, Mucha combines realistic figurative elements with highly stylised decoration. The pale female figure at the centre of the poster holds her hands to her face in wonder against a backdrop of blue sea and a mountainous coastline. Her body is surrounded by an elaborate floral pattern composed of curving stalks of lilac, hydrangea, dianthus and violet. 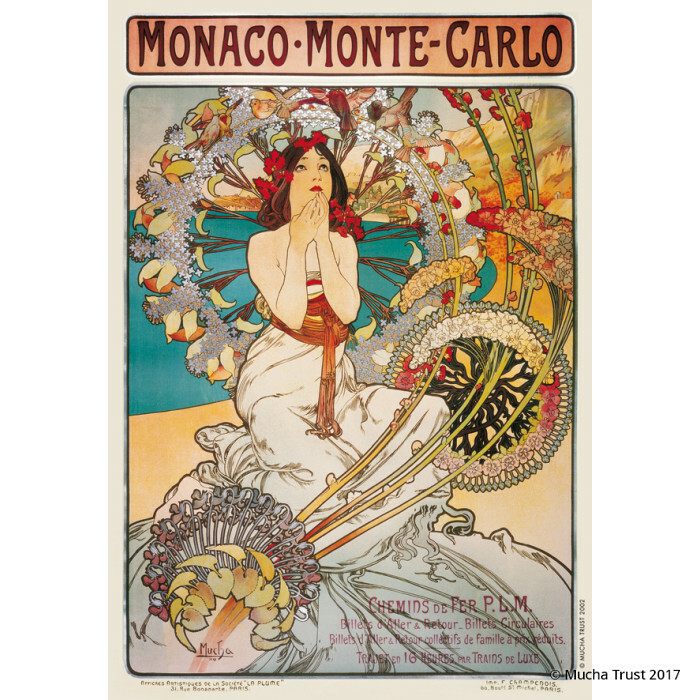 In the background, Mucha features the distinctive towers of Monte Carlo's famous casino.